RiNo Supply Company is announcing a new Product Pricing structure beginning in May. Industry-wide and across the country the cannabis market is experiencing a dramatic shift in structure and pricing. Many factors contribute to the flattening of the marketplace; new states legalizing, increased adoption of cannabis into new industries and regulatory changes are all primary driving forces behind this shift. 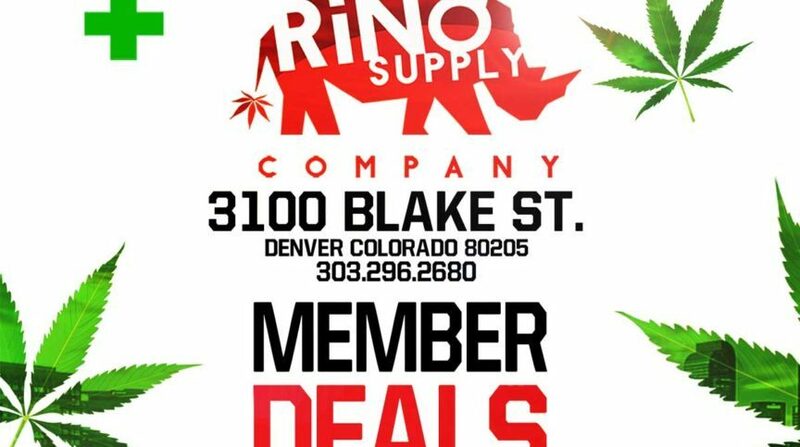 While we celebrate the continued success of cannabis across the US, the focus at RiNo Supply Company remains the same today as it did in 2009, providing Quality Affordable Cannabis. Over the past months RiNo Supply has been improving operational efficiencies, developing new benchmark methods for higher quality growth, and working with our trusted processing partners (such as Apothecary & Craft) to bring our patients the best cannabis in the Colorado marketplace. If you have preferred vendors or products that you don’t see in our line, let your Budtender know and we will do our best to satisfy you needs! 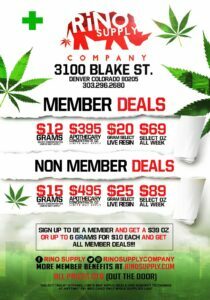 RiNo Supply is pleased to announce new product pricing for May, including members and non-members. These changes will enable the company to continue to compete in a dynamic marketplace while providing the highest quality product. We will continue to provide fast efficient service at the door with average time in and out for patients at 3 minutes. During your visit be sure to take time to find the right medicine for you amongst the growing selection of wax, shatter, live resin and flower. If this is your first experience with RiNo Supply or you would like learn more about becoming a member and receive member benefits, visit us at 3100 Blake Street Denver CO 80205 or call (303) 296-2680 to begin your sign up!